Description: This podcast features an interview with Dr. Mark Reid of the Harvard Smithsonian Center for Astrophysics. He chats about his recently announced discovery that our Milky Way is bigger, faster, and more likely to collide with the Andromeda Galaxy that we thought! Today’s Sponsor: Today’s podcast is sponsored by Maurice and Wendy Frank of Marietta, Georgia, in loving memory of Spock and Micro, their feline family who were born twenty years ago this month. May their spirits soar to the stars. 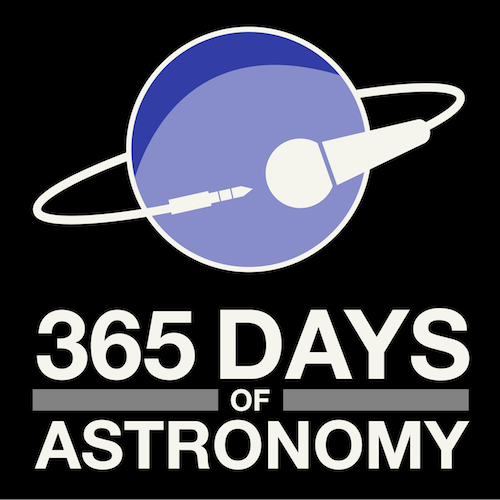 SUE ANN HEATHERLY: Welcome to this edition of the 365 Days of Astronomy podcasts. I’m Sue Ann Heatherly. I work at the National Radio Astronomy Observatory in Green Bank, WV. For this podcast we’re going to be talking with Mark Reid. Mark is an Astronomer with the Harvard Smithsonian Center for Astrophysics. I interviewed him last January at the American Astronomical Society meeting. Now, last January, Mark made a pretty fascinating announcement—he told the world that the Milky Way Galaxy, our home galaxy, is faster, more massive, and more likely to collide with the Andromeda galaxy than we thought before. So let’s take a listen to what Mark has to say. I’m here with Mark Reid from the Harvard-Smithsonian Center for Astrophysics, and we are at the AAS Meeting in Long Beach California. Mark, you have just published a discovery and tell us what all the hubbub is about here at the AAS Meeting. MARK REID: Sure. We have a project using the VLB Array. We’re trying to map the Milky Way, and we’re doing it by measuring distances to regions of where big stars are forming – very young stars, or very massive stars. And we use a technique which is called trigonometric parallax, which is just surveying. We measure one leg of a triangle and an angle and we get a distance. And the main result we’ve been presenting here is that. . .from a collection of sources that we’ve measured, we have been able to determine that the Milky Way is rotating about 15 percent faster than astronomers had previously thought, and that has quite large implications for the total mass of the Milky Way. It increases it by about 50 percent, and it means, basically, the Milky Way now is as massive as its neighbor, the Andromeda Galaxy. Previously, astronomers had thought that the Andromeda Galaxy was the dominant member of what we call the local group of galaxies, and that the Milky Way was sort of the little sister of the Andromeda Galaxy. It now turns out that they are about the same. Instead, they are sort of twins — probably fraternal twins, instead of a big sister/little sister. One other interesting thing that has come out of the research is, because the Milky Way is more massive there is more gravitational pull on the Andromeda Galaxy, and so these two galaxies will collide sooner than we thought. Now, we don’t know the details of this collision and how it will take place, but it will probably happen a bit sooner than we thought. SUE ANN HEATHERLY: All right. You’ve mentioned a couple of interesting things, just right-off-the-bat, and everybody I think that tunes into our 365 Days of Astronomy Podcast recognizes that the Milky Way is the galaxy that we live in. And as such, being in it, hasn’t it always been a difficult thing for astronomers to try to measure how big it is, and things like that? It’s like trying to measure the shape of your house from inside it, which would be really hard to do. MARK REID: Well, that’s right. The Milky Way appears as a bright swath of stars across the sky, and we know that it’s basically a disk-like configuration that is rotating, and it contains about a hundred billion stars. But what we don’t know is any details about how the Milky Way is put together. And the main problem is, in order to do that, we’d either have to get in a space craft and fly for 50,000 years at the speed of light to go out far enough to look back and take a picture, which we can’t do. So the only other method is to actually survey the Milky Way, measure distances to lots of objects, and then make a map or a plan view of the Milky Way, which is essentially what we started to do here. SUE ANN HEATHERLY: Isn’t measuring distance difficult? MARK REID: Yeah, measuring distance in astronomy is notoriously difficult. Most methods of measuring distance rely either on how luminous an object is, and how luminous it appears to be, or measuring doppler shift, the speed of motion of something in the system, and then knowing how the system moves and rotates. What we’ve been able to do – the big advance is – with the tremendous accuracy of the Very Long Baseline Array, we’re able to measure distances directly, geometrically, by the same techniques that surveyors use on land here. So this gives you what we call the gold standard of distance measurements in astronomy; they’re as good as you can do, and they have no systematic errors. So, they’re very reliable. That’s been a big advance here. SUE ANN HEATHERLY: So, where have you looked? Where have you measured distances to? MARK REID: We’ve measured distances to about a dozen regions of star formation throughout the Milky Way, mostly in, you know, one section of it that’s easily available from the Northern Hemisphere. And we’re busy trying to fill in other parts that we haven’t measured yet, because we want to make up a map of the entire Milky Way. SUE ANN HEATHERLY: Are you looking at the parts of the Galaxy that are farther away than we are from the center, or are you able to look clear into the center? MARK REID: We’re doing both. We’re looking at sources that are in toward the center, or off to the side a bit, and we also are looking at things that are farther away from the center of the Milky Way. Those are actually quite interesting, because they tell you a bit about how the rotation of the Milky Way changes with radius. SUE ANN HEATHERLY: So, you said that the Milky Way is more massive than we thought, and bigger also in its extent than you thought? MARK REID: That’s right. Because it’s rotating about 15 percent faster than we thought, that really means that the overall size of the Milky Way is also about 15 percent bigger, and that includes – that’s basically what we’re talking about – the dark matter halo. The Milky Way is composed of normal matter – what we’re made of: stars, dust and gas. And that is sort of condensed into the central regions of the Milky Way. But all that stuff is embedded in what we call a dark matter halo, which can be 10, or 20 or more times bigger than the luminous material. And the only way one can sense it is through its gravitational attraction, and that’s basically what we’re sensing by the change in velocity. SUE ANN HEATHERLY: So, we’re moving faster means that there is more gravity. MARK REID: That’s exactly right: the faster we move, the more mass that’s involved, the more gravity. And that basically allows you to measure the mass of the dark matter halo. SUE ANN HEATHERLY: One of the other portions of your discovery that I read about in the press release was that there is some evidence from your work that we have more spiral arms in our pinwheel galaxy than other data suggests. Can you tell us a little bit about that? MARK REID: Yeah. Sure. The Milky Way, we think, is a spiral galaxy. If we look out in the sky with telescopes, we see many other galaxies that we think might be like the Milky Way. What one sees in these spiral galaxies, as they’re called, are bright patches of light along a spiral pattern and these bright patches of light come from young stars that have formed. They’re very luminous stars. Very hot stars. They ionize all the gas around them, and they show up very clearly. Someone has said they show up like beads on a string. You know, they’re galaxies. And other galaxies may have two spiral arms, or four spiral arms, or be very irregular, and we’re trying to figure out what class the Milky Way is. Now, our preliminary results show that the pattern, the spiral pattern, is fairly open. In other words, it’s not a very tightly wound spiral. That favors that the Milky Way has four arms – and not two arms – as has been talked about recently at previous AAS Meetings. SUE ANN HEATHERLY: How does that compare to the Andromeda Galaxy? MARK REID: The Andromeda Galaxy is what we call an earlier type spiral galaxy. It has fairly tightly wound spiral arms, and ours are probably a bit more open. SUE ANN HEATHERY: Now, one of the other things that you mentioned was that we are going to collide with this Andromeda Galaxy at some time in the future – sooner than we thought – of no concern to anybody living here on Earth today, right? MARK REID: That’s correct. Previous estimates were that it might be within about 5,000,000,000 years. With the more mass of the Milky Way, it might be a bit sooner. Galaxy collisions happen all the time. They take a long time to happen, of course, and they are very violent in terms of how the galaxies that collide look like afterward. However, any star, or any planet going around the star, like the Earth, would hardly notice this happening. There would be no real accelerations; you know, you wouldn’t be hit by anything. That’s because there is so much space between all the stars in both galaxies that they more or less pass through each other. But they do gravitationally cause a big change, and stars in the galaxies that collide and merge, some are ejected from the galaxy and take their planets along with them. So, if you’re on one of those – if that were to happen to the sun – we would over tens of millions of years drift out of the new combining galaxies, and we would actually get a good view of it but we wouldn’t feel anything changing on the Earth. SUE ANN HEATHERLY: And then we could see if all of this evidence that you have been collecting, and others, are really what the Milky Way looks like. MARK REID: That’s right. I’ll try to stick around for that. SUE ANN HEATHERLY: In the last couple of minutes, can you tell us just a wee bit about the Very Long Baseline Array? MARK REID: The Very Long Baseline Array is just a marvelous instrument. It contains 10 radio telescopes that are spread across the Earth, from the Hawaiian Islands to New England, on the East Coast and St. Croix and the Virgin Islands. These telescopes are all used simultaneously to sort of simulate a radio telescope the size of the Earth. And by doing that, one gets incredibly high angular resolution. You get about one hundred times finer resolution – more detail – than the Hubble Space Telescope can see. Basically, that allows one to measure positions to much higher accuracy than has ever been done before. And we exploit that to measure the very, very small shifts in position that a star forming region half away across the Milky Way would have, because we’re viewing it on the Earth going around the Sun. So, when we change our vantage point slightly, that changes the apparent position very slightly, and that’s what we measure. SUE ANN HEATHERLY: And for those of you out there, if you want to demonstrate this for yourselves – you can extend your arm right now and hold your finger up and shut one eye and look at it, shut the other eye and look at, and watch how your finger appears to move against the background wall, or something like that. Is that right? MARK REID: That’s exact. . .exactly what we’re doing. SUE ANN HEATHERLY: And finally, then,.how long have you been at this? What has led up to this press release? MARK REID: Well, I’ve been. . .I’ve been doing VLBI for most of my career, which is many, many years. But the VLBA has been around for about 15 years now, and it took about, you know, 5 or 10 years for a lot of the kinks to be worked out, a lot of the calibrations to be improved, so that it becomes a better and better telescope with time. So this project started really about 4 or 5 years ago, where we decided to try a calibration system that would improve the accuracies even further. And ultimately that worked. And then we decided, okay, if we can get the accuracy needed to measure positions all the way across the Milky Way, we should try to survey the Milky Way. SUE ANN HEATHERLY: Well, it’s really a wonderful discovery. Thank you so much for talking with us today. Once again this is Sue Ann Heatherly. 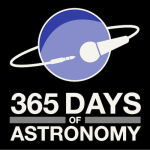 Thanks for joining me for this edition of 365 Days of Astronomy podcasts. See you next time.